AQM, Inc. offers three types of product labeling services; silk screening, vinyl film and ink jet printing with UV Lamination. We operate 1 Mimaki JV3-160SP Solvent based printer up to 60” and 1 Mimaki CG-130FX vinyl plotter with contour label cutting. 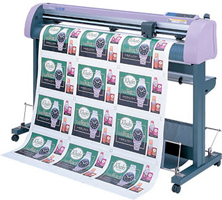 The Mimaki printer is excellent for short run custom labels, eliminating the need for large production runs required by most print houses. AQM, Inc. has many means to package and ship products safely throughout the United States. We have a complete wood shop for build specialized crates as well as a Sealed Air Insta Pak foam in place system. We ship Truck load on LTL shipments everyday and receive excellent discounts from all the National carriers.